HA! Happy April Fools Everyone! 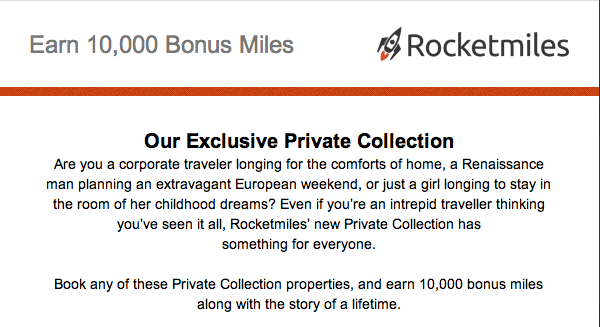 To be eligible, the hotel reservation must be booked using this promotional link (www.rocketmiles.com/private-collection) by 11:59PM CT on 1 April 2014. Limit one per person. Limit one per stay. Promotional offer can not be applied to existing bookings or retroactively applied to bookings not made using the link above. 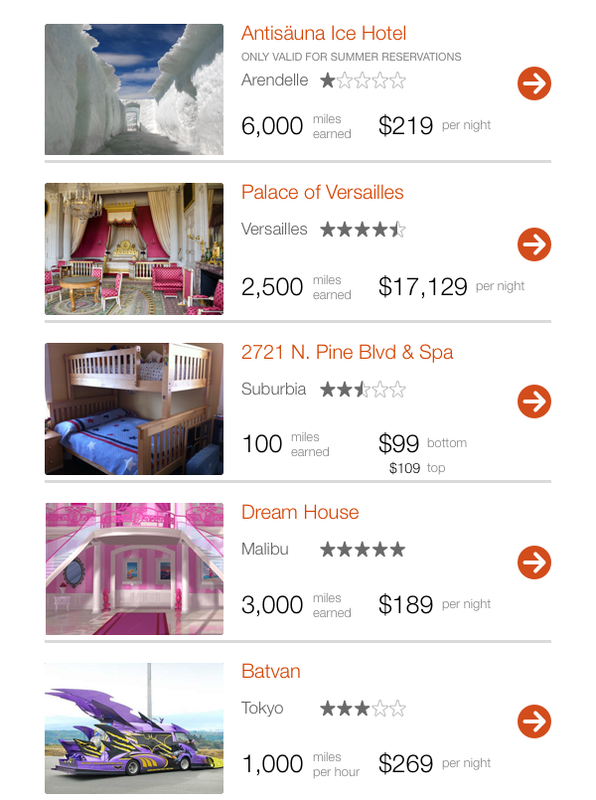 Rocketmiles wants to clarify that this is only an April Fools joke and these properties are not actually available for booking through our site. However, if you do find a way to book similar properties on another site, we’d love to hear about it. This promotional offer can not be combined with any other bonuses or offers, as it does not exist. including sign-up bonuses. Rocketmiles reserves the right to retract a bonus at any time if it detects fraud, stacking of bonuses, technical errors, cancel/rebooking activity (defined by identical search criteria), or any other deceptive behavior attempted to circumvent the limits expressed above. See www.rocketmiles.com/terms for full terms, or call 1-855-355-7625 with questions of eligibility. Can't make use of this promotion? Be sure to visit our Rocketmiles Bonus pages for dozens of other flight, hotel, car rental and other bonuses!